Congress has passed the so-called “Right-to-Try” bill, which is intended to give people with fatal illnesses a way to access drugs that are still experimental and not yet approved for use. The bill will now be sent to President Donald Trump, who is expected to sign it into law. Right-to-try laws have passed in some 38 states, but have been criticized by doctors and medical ethicists. While no one wants to argue against giving potentially beneficial drugs to people who need them, not everyone in the medical community is convinced a national right-to-try policy will ultimately make life better for patients. Though Dr. Scott Gottlieb, the commissioner of the U.S. Food and Drug Administration (FDA) expressed his concerns about the bill in the past, he made clear that he would embrace the changes. For a drug to be approved for use in the United States, it must undergo several rounds of clinical testing, a process that can take several years. The FDA—the agency that oversees that approval process—does already have a system in place, often referred to as compassionate use, for getting unapproved drugs to people who are out of other options. Physicians can submit an Emergency Investigational New Drug (EIND) application to the agency if their patient has no other treatment options. With FDA permission and drug company willingness, a patient can try that treatment. The FDA’s drug approval procedures were put into place in 1962 after women in Europe who were taking the drug thalidomide gave birth to babies with birth defects. The drug, which was marketed as a treatment for morning sickness and as a sleeping pill, was not approved for use in the U.S., but the tragedy helped spur Congress to pass a law that would require drug-makers to prove both safety and effectiveness. As the letter authors point out, the FDA currently approves 99% of the patient requests for expanded access that it receives. “Because the FDA is not the obstacle to patient access to investigational drugs and plays a vital role in ensuring proper patient safeguards are in place, we implore the Committee to not pass legislation that would remove the FDA from the initial authorization process for accessing an investigational therapy outside of a clinical trial,” the letter reads. The Goldwater Institute, a libertarian think tank, is one of the biggest supporters of right-to-try laws. The institute created a model bill that many states have used for their own right-to-try laws. “Ultimately the way we feel about all of this is it’s a matter of time. The genie is sort of out of the bottle,” said Starlee Coleman, the institute’s chief policy adviser, to Politico. “Patients have too much information now. They know when drugs in trials are working because they are connecting now more than they ever have been before. 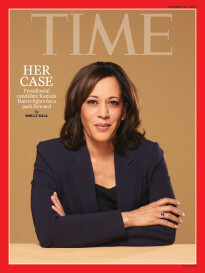 Maybe people who don’t want this will be able to stem the tide for a little while, but there will be something that comes later.” The federal policy has also received significant support from Freedom Partners, a network that supports the political initiatives of Charles and David Koch and the billionaire brothers’ political allies. 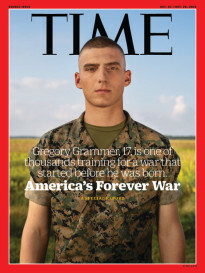 (Time Inc., TIME’s parent company, was recently acquired by Meredith Corp. in a deal partially financed by Koch Equity Development, a subsidiary of Koch Industries Inc.) The group argues that even though the FDA grants the vast majority of compassionate use requests, it only received 1,757 requests in 2016, which the group says is small compared to the number of people who could potentially benefit. Proponents of right-to-try legislation argue that it will cut down on the time it takes for a drug to go through the FDA for compassionate use. But UCSD’s Strathdee disagrees. In 2015 Strathdee’s husband contracted a drug-resistant infection that wasn’t responding to treatment. Strathdee and her husband’s medical team submitted an EIND to the FDA to request access to phage therapy, a treatment that is not approved for widespread use. “In our case, the FDA official involved was far from obstructionist; she helped connect us to U.S. research teams we were unaware of, who agreed to make their experimental treatment available to us,” says Strathdee. “But the FDA was also careful. They required documentation to show that safety concerns had been considered and minimized to the extent possible.” This was vital, says Strathdee, since the proposed cure for her husband’s infection was derived from sewage. If improperly purified, the treatment could have caused septic shock and killed him. As Politico reports, the Goldwater Institute says it does not want to get rid of the FDA, but it wants to call out the agency’s flaws, arguing that the review process for drug approval is expensive and long and that if it was easier, drugs would be less costly.